So, where is my interview? You have studied, gained qualifications and decided to bring your resume up-to-date and announce your brilliance to the world. You have the certification, experience and a range of key achievements to back it up. It should be a no-brainer, right? So why are you not getting that interview? Why is that company not biting your arm off to work for them? The fact of the matter is, today’s employers are seeking more than you have demonstrated on your resume. Increasing importance is being placed on soft skills – personal attributes that enable you to interact well with other people. What is so hard about soft skills? Soft skills are becoming more important to employers when choosing between applicants with similar experience and education. Whether it is team spirit, communication skills or being a quick-thinker, expressing and demonstrating the right soft skills can make hopeful candidates stand out from the crowd. This can be a tricky quality to properly get down on a resume. In a cut-throat hiring environment, employers are looking for soft skills to establish the most suitable people for the role. 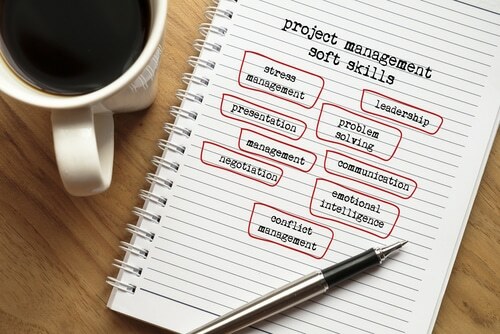 While industry-based and experience-specific skills still very much have a place in the mind of a hiring manager, soft skills give candidates an edge and show potential employers the social and cultural benefits they would also bring to their new role and company. So, what are soft skills? Soft skills are about who you are, rather than what you know. As such, soft skills cover traits that decide how you interact with others and are usually part of your personality. 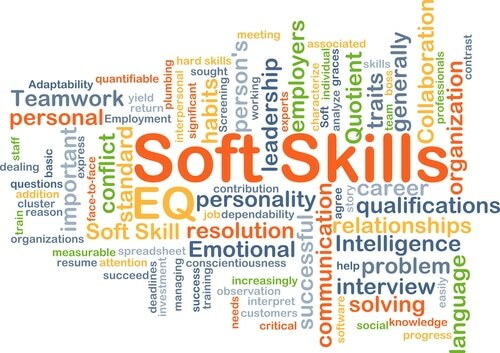 Where hard skills can be learned and perfected over time, soft skills are harder to acquire. The soft skills required for a doctor, for example, would be empathy, understanding, active listening and a good bedside manner. Alternatively, the hard skills necessary for a doctor would include a vast comprehension of illnesses, the ability to interpret test results and symptoms, and a thorough understanding of anatomy and physiology. These soft skills hint towards loyalty to the company and progress within the business. These are skills that transcend virtually every industry type and skill level. Soft skills benefit businesses when they are practised on a company-wide basis. They apply to us all and employers realise these soft skills unlock vastly increased productivity, staff retention and job satisfaction. So, what are the hard truths about soft skills? Not only are soft skills important to include, but they are also transferable. We have many clients who are embarking on a new career trajectory and worry that they cannot make their existing resume seem remotely match up with the position they are targeting. As listed above, soft-skills are universal attributes and are perfect to illustrate your inherent suitability for the position targeted. As we say, it is not the easiest task to incorporate soft skills into a resume, but it is definitely taking your time to do so. Your next job may depend on it.